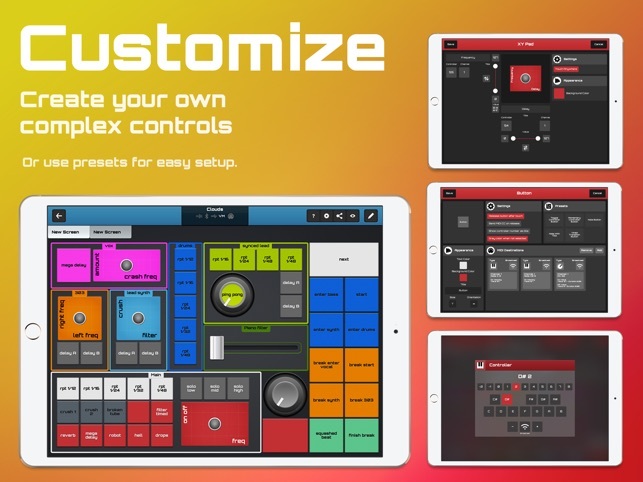 Sonic Logic is a modular MIDI controller that allows you to edit and control MIDI setups from your iPad. 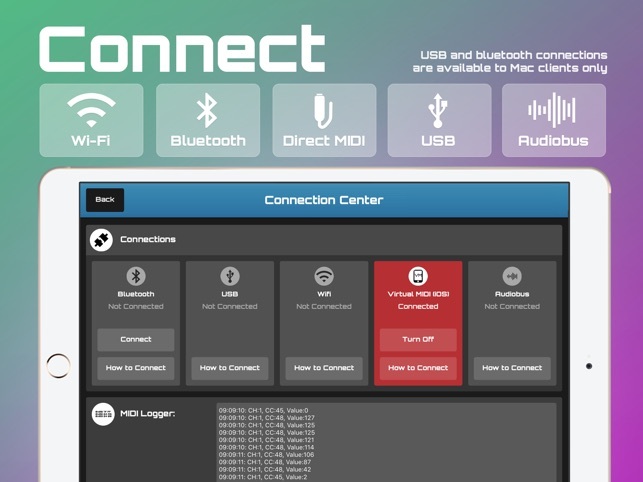 Connect over WiFi, Bluetooth(*), USB (*), MIDI cable or use Virtual MIDI and Audiobus to control other iOS apps internally. 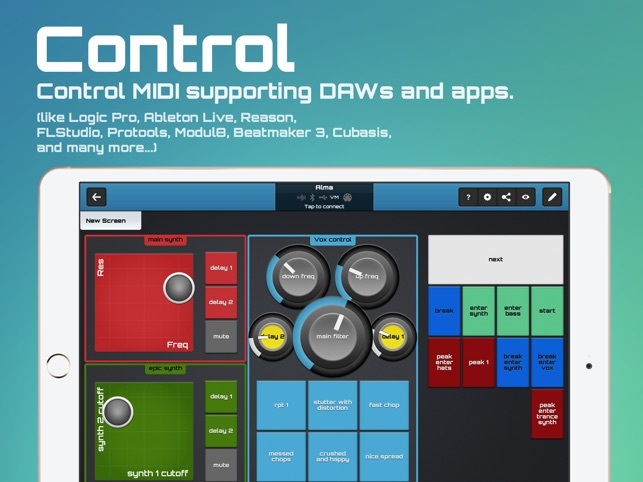 Control DAWs like: Ableton Live, Logic Pro, Cubase, Protools, Traktor, and other many more. 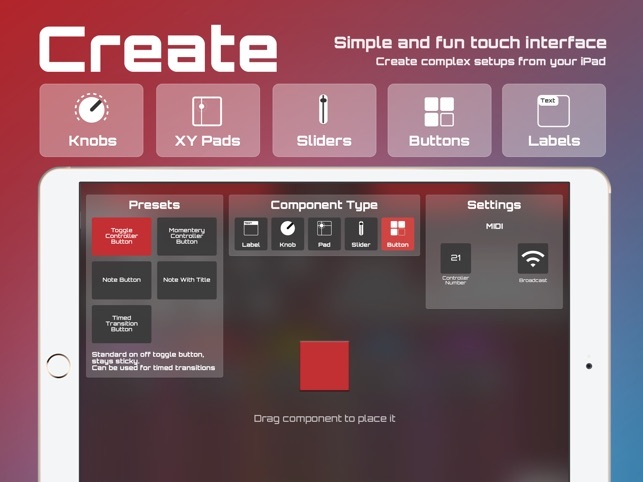 * Create your MIDI controller easily from your iPad. * Import and export your setups and layouts. * Multi screen - Each setup can have up to 8 different, easily switchable screens. * Intelligent MIDI assignments makes component creation fast and easy. 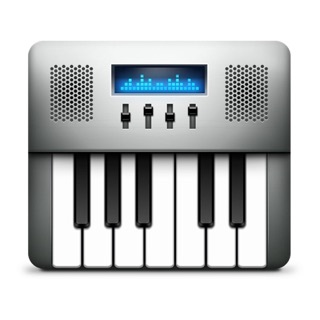 * Edit component's color, size, MIDI channel, range and controller number. 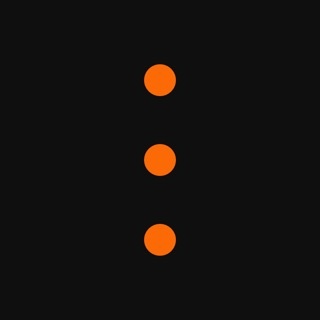 * Time advancing gestures for buttons, create a time based MIDI transition with just a press of a button. * Control everything with multi touch. * Snap to middle feature on sliders and knobs. * Built in, editable templates. Email us for feature requests and ideas! 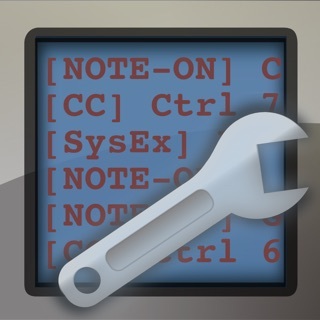 Version 3.0.5 fixes an unexpected crash when editing group components. Version 3.0.4 fixes a bug where editing results might be unreliable.